THANK YOU FOR THE FLOWERS!!! Every day has its ups and downs… today is up up up!! At BNI today, I won the door prize (YAY!) 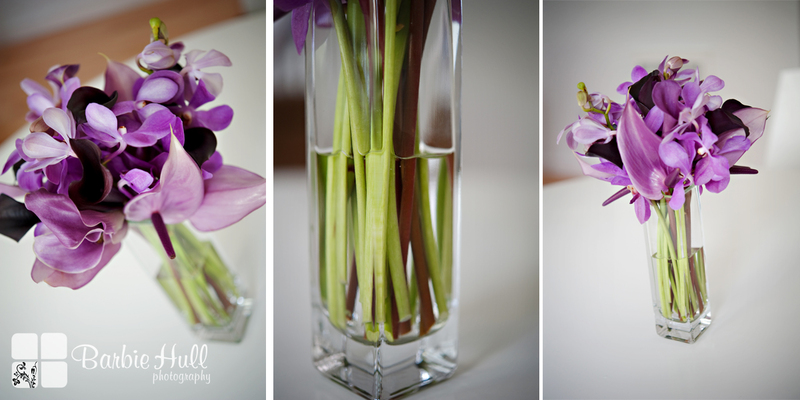 and it was a super cute square vase full of gorgeous purple orchids from the ever delightful Christopher Flowers!! BUT THEN when I arrived at home…. 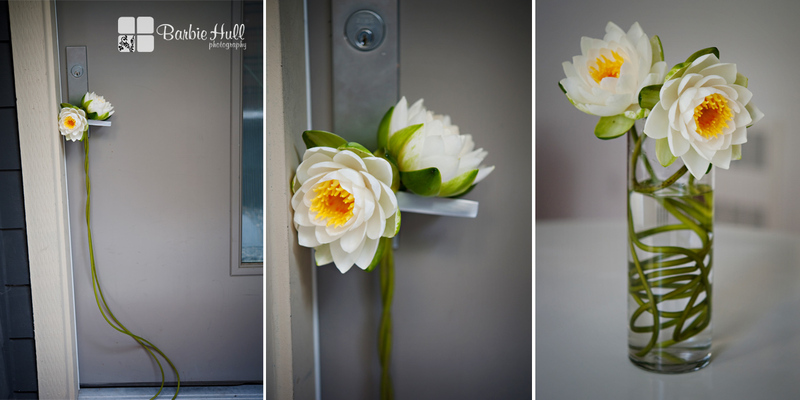 there were two GORGEOUS white flowers dangling from my doorknob. WHAT?! I LOVE THIS!! So many thoughts went through my mind…. I looked around and saw no one! Who could they be from?! I called the usual suspects… but no. Was this the doing of a generous stranger?? Whoever these are from, THANK YOU!! You made my day!! Bob - So flowers from some one for the best reason of all? Just Because? Not much raises someones spirits as much as receiving flowers just because. Make someone smile send flowers!